 At Tri-city Taekwondo, we are focused on developing leaders. Leaders in our communities, our families and friends and leaders for the future. Our carefully designed Leadership Program focuses on helping students learn leadership skills that will help them in ALL walks of life. Our leadership team receives training in public speaking, inspiring others, developing self-esteem, problem solving, and leading small groups and teams. The combined theoretical and practical aspects of our Leadership Program is what makes this Team a success! The Leadership Members are hand picked by Master Phan, and are selected on their continuous dedication to Martial Arts, and their ability to be strong role models for the younger generation. Inside and out of the Dojang, our team remain respectful and model community members wether it is in school, volunteering, or just out with friends. Our leaders remain responsible and vital members of their communities. Trying to command a group of 4 and 5 year olds and retain their focus is a daunting task. To say that you would need patience is an understatement! Our leaders learn ways too grab their attention and remain clam when the little ones get distracted. Become successful adults and leaders!